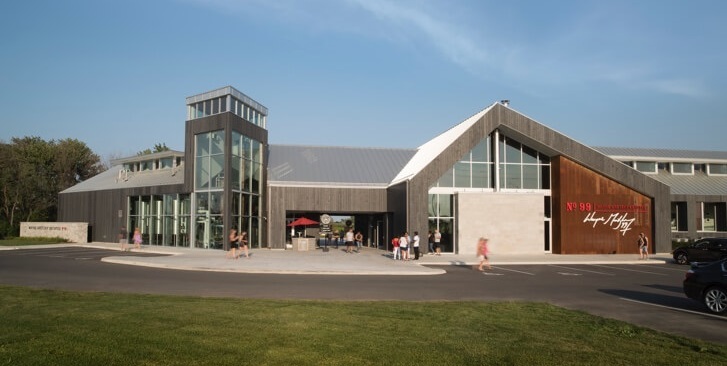 The new Wayne Gretzky Estates Winery & Distillery is in the heart of Niagara-on-the-Lake. The distillery is home to the state of the art distilling equipment, while the winery features a beautiful barrel fermenting and aging cellar and tasting room. The 23,000 square foot facility is the first of its kind in the region, featuring both wine and distilling production. Wayne Gretzky wines celebrate excellence in winemaking from the finest grapes and developed by some of the greatest winemakers in the country. Wayne Gretzky Estates Winery offer tours and experiences throughout the day, 7 days per week. Reservations are recommended but not required.